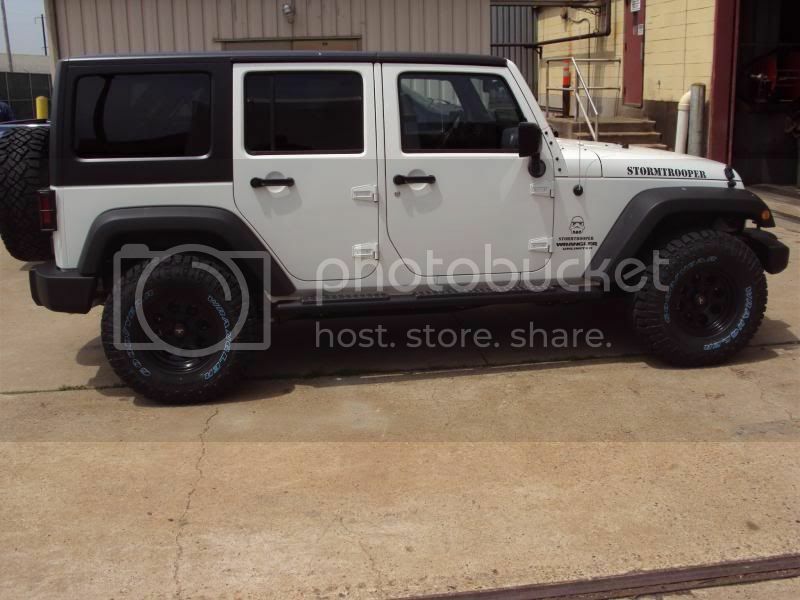 If you have the TeraFlex Leveling Kit (2" front / 1" rear) installed on your JK, please post your reviews on it. 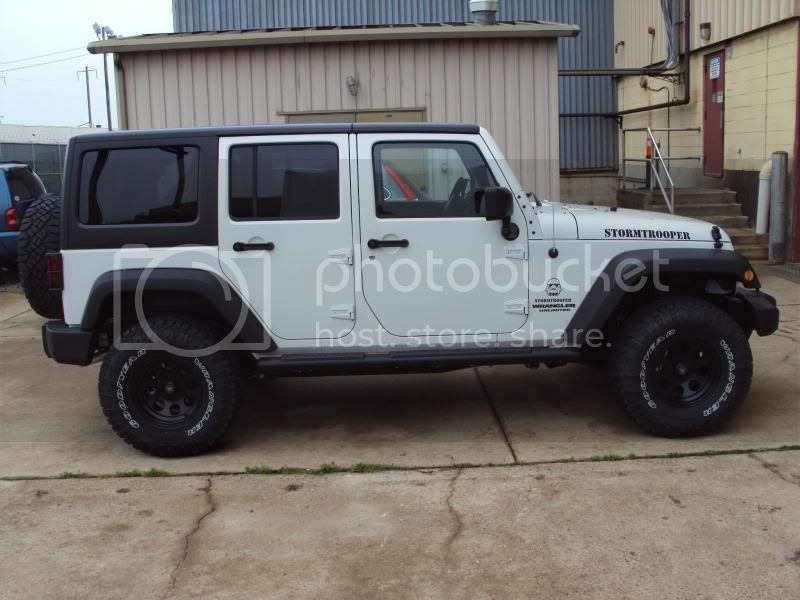 Looks like this is what will be going on my wife's daily driver so I don't want any issues (shakes, shimmies, DW, etc...) for her as she likes the smooth factory ride of the Sahara but wants it a bit higher up. Any recomendations about adding an adjustable track bar, taller bump stops, etc... that would make it drive / handle better? Do you get too much roll / lean with the OEM shocks? It has 60k on the OEM shocks now but it still rides great. I installed mine on a 2012 JKU sport a few montha ago with no problems. Pretty easy install the only thing i would recommend it retorque all the bolt's after around 300 miles or sooner. I found some loose one's which needed a good amount of tightening. As for ride not a change in my book it as good as it was when I first got it. I am very happy with it and the way it improves the stance of my jeep. The one I am asking about is the spacer kit. I think you are talking about adjusting the turn buckle on the drag link (steering shaft), not the trackbar. Installed mine in march on a 12 JKU Sahara. Really easy, took about 4 hrs in my garage with a floor jack and jack stands. I really couldn't tell any difference with the handling. The only issue I had was that it didn't completely "level" the jeep. The front is still noticeably lower than the rear. Sounds like this will be the kit that I will end up getting. This is the same kit I put on my JKU. Ride seems to be the same as before the leveling kit was on. TeraFlex leveling boost kit. Two one inch spacer pucks for the front and one one inch puck in the rear. It came with longer sway bar links for the front too. 2014 JKU RUBICON X Anvil, Auto Stock for now. Got mine delivered today, tried to find a you tube video for it but was unsuccessful . Can someone point me in the right direction. Love mine. No handling issues of any kind. 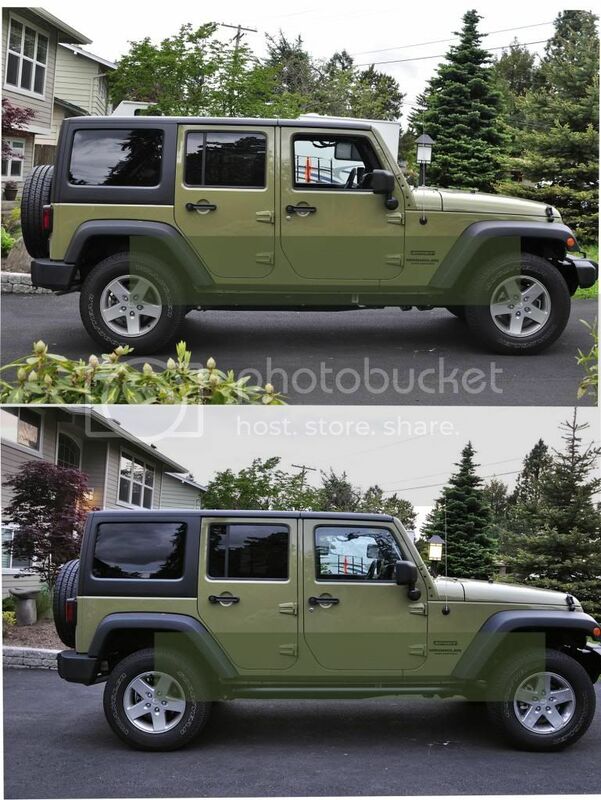 Just purchased a 2013 Jeep Wrangler Unlimited Sahara and had same question about leveling kit which brought me to this forum. Thanks for info folks. I just ordered this kit and should be ready to install by next weekend. Just one more question; in the description it said that you may need spacers if you stay with the factory wheels, Why? You may need wheel spacers if you go with a wider tire. There is not that much clearance using the factory wheels and tires. Most people put larger tires on and the larger tires are usually wider, putting the tire closer to the suspension (or sometimes rubbing the suspension). Installed the leveling kit on my 2012 jku Sahara, easy to install for the do it yourselfers. Happy with the results for $130. No change in the ride. I put in the coil version and noticed the front sat a tad higher than the rear. The steering also felt a bit tighter. I agree with the re tightening the bolts after 300 miles as mine were coming loose as well. The springs do feel a bit stiffer than the stock springs, but it helps make the Jeep feel more connected to the road. Glad you guys are liking the kits. The spring kits will sit a little higher and the main reason for that is we spec our springs to be able to accept the additional weight of a winch and bumper with out falling below the published lift height. True as advertised. It now sits level with the aftermarket plate bumper and winch installed. The front end dropped by barely 3/8th to 1/2 inch with 160+ lbs of winch and bumper. Yes, thanks alot. I wasn't really thinking of the width. I do plan on going a little larger in tire size when these wear out, but I was only thinking hight. When and if I do need spacers are there any you could recommend? I was checking into a full 2.5" lift at first but decided because of the miles I put on to just stick with the leveling kit, but while checking I heard some people don't recommend the spacers. If you put on a lot of miles a leveling kit is a good choice. The more you lift the Jeep the more air disturbance you have under the Jeep and the worse gas mileage you get. Does this kit give you any added ground clearance or is it just for looks? TF rep has some good info here. 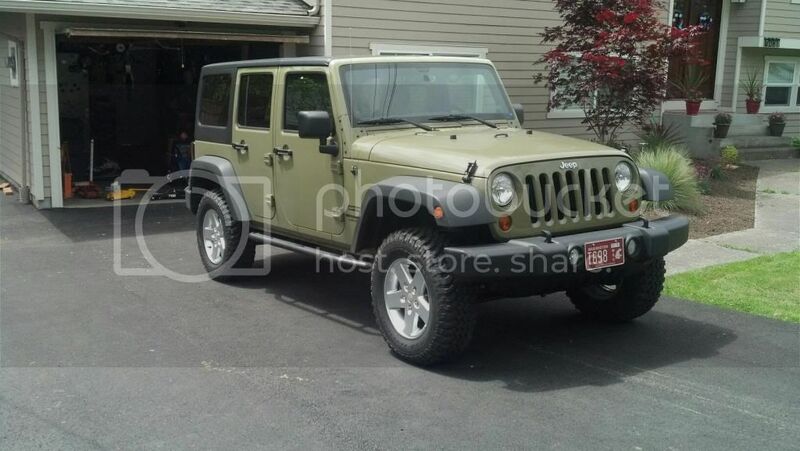 If you have the TeraFlex Leveling Kit (2" front / 1" rear) installed on your JK, please post your reviews on it. If you want to level your Jeep why raise it 2" front / 1" rear when you could raise it 1" in the front? Sounds like a low buck lift kit to me. I just want the front raised 1". Do I have to get a kit that raises front and back or is there another alternative? TeraFlex calls it a leveling boost kit. You can just add one inch puck to the front if you just want to level your JK. Son in laws Rubi mine is just a bit taller than his factory stance. This is what I did for my 13 JKU Sahara, installed the 1 inch pucks in the front...it still is lower in the front, but not by much. No pic, sorry. Is it possible to buy just the front pucks or do I have to buy the whole kit and chunk the others? You can just buy the pucks... click on my link above... that price is for each puck. This is the TreaFlex kit with just 2 one inch pucks.